Lennon was placed in temporary charge of the Hoops after Brendan Rodgers left for Leicester in February with the Hoops chasing a treble-treble. The Hoops look certain to record an eight consecutive league title and have already beaten the Dons this season in the Betfred Cup final. Lennon’s chances of landing the Celtic job on a permanent basis may hinge on whether he can secure another domestic clean sweep. 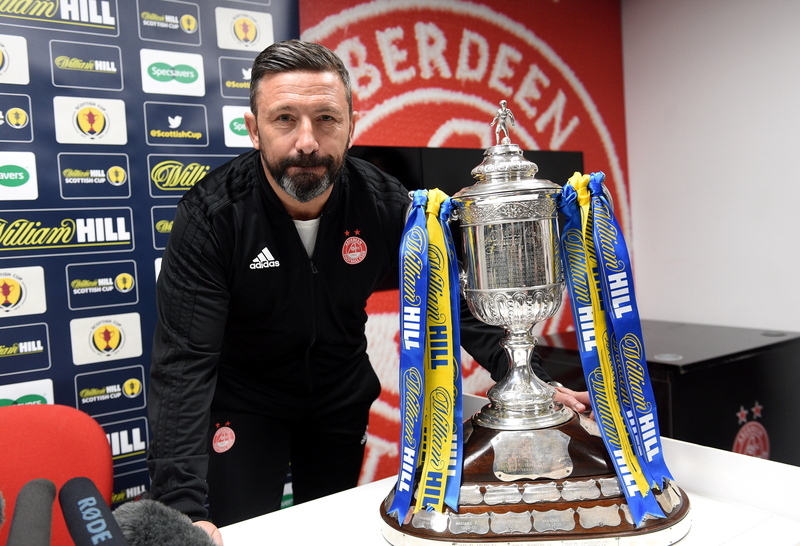 McInnes, however, admits it will be is difficult for Lennon to follow in the footsteps of Rodgers, who won seven successive trophies during his spell in charge. He said: “It’s still the same players. They’ve got players who can turn the game in an instant. In terms of the managers, both have been successful Celtic managers, Brendan and Neil. “He’s actually on a hiding to nothing because if he wins the league, he’s already said it’s Brendan’s team and he’s been really gracious that. 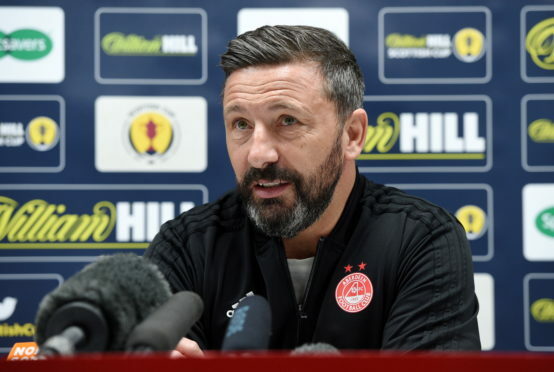 “If he wins the cup, people will say the same but if he loses the cup it’s Neil’s team and I think the only pressure on Neil will be from himself. I’m pretty sure that the people within Celtic are well aware of his abilities. Lennon has yet to taste defeat during his second tenure in charge, with his side showing a penchant for late winners with goals against Rangers, Dundee and Hearts coming after 85 minutes. McInnes added: “This Celtic team has shown real consistency since the turn of the year. I think you can maybe see little differences, probably more in the personalities of both managers. Brendan’s team were far more controlled, deliberate with their work, controlling games and more patient. Neil’s team are bit more ‘here I am’, right in your face and like to show you what they’ve got. I think that’s natural.